I was born before the Industrial revolution and am now about two hundred years old. Jones, in his dependence on sign as a vehicle for affirming incarnation, greatly feared the increase of modern utilitarianism, for he saw technocracy robbing humanity's making and doing of significance. This fear is expressed in his short poem “A, a, a Domine Deus.” It opens with the cry “I said, ‘Ah, what shall I write?’” The poet is literally stuck for words. Though he searches “without prejudice” to find some vehicle of expression, being careful “not to condemn the unfamiliar,” he is disappointed at every turn. After journeying “among dead forms,” “wondering for the automatic devices,” “testing the inane patterns,” and feeling “for His Wounds in nozzles and containers,” he concludes that though he thought he “felt some beginnings of His creature,” his “hands found the glazed work unrefined and the / terrible crystal a stage-paste.” In Jones’s mind, the “perfected steel” and “the glassy towers” of modern civilization failed to provide valid signs of the incarnate Christ and the poem ends with another cry: “Eia, Domine Deus.” The poet's last hope is the return of the Lord. It is not clear whether Jones is calling for the Second Coming of Christ or for Christ to infuse sacramentally this modern material with significance; perhaps both are intended. Jones, as did Hopkins before him, used the term “sacrament” in both a theological and aesthetic sense. Not only did the term refer to the seven ritual Sacraments of the Roman Catholic Church, it also referred to the ability of creation to symbolize, signify, or reflect in a mimetic sense the character of God and his operation in the world. For Jones in particular, a human being, whether Roman Catholic or pagan, was “unavoidably a sacramentalist. . .his works are sacramental in character.”9 Art itself is bound to the religious in the sense that all art is a gratuitous, intransitive, and delightful activity that is embedded in the practice of sign-making; and for a sign to be truly a sign it must signify some reality, something good, something “sacred.” Therefore, by dealing with realities, by attempting to address things as they really are, art becomes religious, according to the strict definition of religio, “that which binds man to God.”10 As Jones looked at the development of humankind, beginning with the far reaches of the prehistoric, he saw evidence of men and women scratching symbols on stone or marking their utile devices to give significance to the objects and the activities of their world. He concluded, presupposing that humans were at core moral beings and makers of things, that the process of making was therefore a religious, moral process and the object was in turn sacramental, in that it acted as a sign. disorder what they have collated. rootless uniformities, pray for us. Jones recognized that the tools and strategy of the modern technocrat were utilitarianism and uniformity and so he prays for protection from those who would “proscribe the diverse uses and impose the rootless uniformities.” The culmination of the passage is a liturgy of particularity. Jones invokes the power of the “patroness of all things counter, parti, pied, several”--and perhaps by the very language employed he calls for the help of a particular Jesuit priest--to receive our prayers and hide us from the planning strategy of the Ram's “Consilium”. the Ram's survey when he squares the world-circle. world-storm. Womb of the Lamb the spoiler of the Ram. The Sleeping Lord, "The Tutelar of the Place"
Hopkins was distressed by the sordidness of nineteenth-century city life and its destruction of humanity’s ability to create works of art. His opinion of Sheffield, taken from a letter written to Robert Bridges in 1878, is characteristic of his dislike for urban life: “Life here is as dank as ditch-water . . . my muse turned utterly sullen in the Sheffield smoke-ridden air.”24 Such a comment foreshadows Jones’s struggle in “A, a, a, Domine Deus” where the poet cries “What shall I write?,” for all inspiration is gone and there is nothing in the “smoke-ridden” city that can be lifted up as a valid sign. Hopkins' description of Manchester, contained in a letter to Bridges the following year, describes a similar scene: “very gloomy . . . there are a dozen mills or so, and coal pits also, the air is charged with smoke as well as with damp.”25 What a different picture of the world this paints in comparison to “God’s Grandeur” written at St. Beuno's, Wales two years before. Hopkins' surroundings are no longer “charged” with the brilliance of God, but choked by smoky dampness.
. . . Why do men then now not reck his rod? Writing at St. Beuno's surrounded by the beautiful Welsh countryside would have made it easy for Hopkins to remember that in spite of rapid industrial encroachment and its accompanying utilitarian plundering, the vault of creation was still rich. And like the hidden refreshment of an underground spring, freshness still dwelt in the inscapes of things as yet unblemished by technological progress. How is this accomplished? By the power of the Holy Spirit who, even though humanity refuses to acknowledge His presence, hovers over the fallen world. This was Hopkins' one hope for the salvation of creation, that particular inscapes would be recognized as speaking of God and that God would continue to infuse those particular inscapes with significance. Frequenting there while moon shall wear or wend. and pelt music, till none's to spill nor spend. To man's last dust, drain fast towards man's first slime. Humanity's ignorance of God's participation in creation is revealed by Hopkins' lines “O if we but knew what we do / When we delve or hew.”36 As a result their dealings with nature will always end in disaster. By losing touch with the Source of nature humanity can no longer hope to deal properly with her: “even where we mean / To mend her we end her.” The delicate relationship between Creator and creation is explained using the image of the human eye. All the components that come together to give humanity sight can be destroyed by the careless prick of a pin, likewise humanity's intricate relationship with the rest of creation is terribly marred when they either refuse to glorify, or even simply ignore the Creator. In the last three lines Hopkins repeats the phrase “sweet especial scene.” This doubled emphasis on “especial” suggests that the uniqueness of the inscape of these particular poplars had gone forever, they had been “unselved,” and Hopkins was once again denied a sacramental avenue to God. Perhaps the beauty of the scene reminded Hopkins of the destruction of the poplars and the ash tree in the garden and stirred this cry for the preservation of particularity. His question in this portion is rhetorical, at least for the person whose “spiritual eyes” are open. A person in touch with the Creator would recognize that the loss of “wildness and wet” hinders his ability to perceive God in the world. The unrequired answer to Hopkins' question is: barren and meaningless. Without “wildness and wet” the world would be reduced to a place of shallow utilitarian uniformity bereft of significance. Thy river, and o'er gives all to rack and wrong. “The heavens declare the glory of God." They glorify God, but they do not know it. The birds sing to him, the thunder speaks of his terror, the lion is like his strength, the sea is like his greatness, the honey like his sweetness; they are something like him, they make him known, they tell of him, they give him glory, but they do not know they do, they do not know him, they never can, they are brute things that only think of food or think of nothing. This then is poor praise, faint reverence, slight service, dull glory. Nevertheless what they can they always do. his dented greaves . . . The world's appreciation of particularity did not improve after Hopkins' death, for Jones’s cry at the end of “A, a, a, Domine Deus” differs greatly from the joyous affirmation of Hopkins' nature poems. 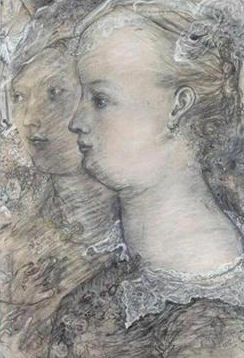 In the seventy or eighty years that passed between Hopkins' writing of “Pied Beauty” and Jones’s composition of “A, a, a Domine Deus” opportunities for the poet to apprehend God in the material of the world had diminished. The “gear and tackle and trim” of the various trades had been replaced by “automatic devices.” The rural landscape, “plotted and pieced--fold, fallow, and plough” was fast disappearing under the “perfected steel” and “glassy towers.” Hopkins' excited recognition of God as He who “fathers-forth” turned to despair in Jones as he failed to find any “true beginnings of His creature” in modern society. 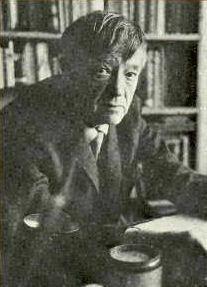 For Jones, some modern material was not “charged with God” and the task of sacramentally affirming Him meant not only knowing “how to touch things,” it also required one to know which things were worth touching, for much of modern society's creative efforts proved to be nothing more than “unrefined. . . stage-paste." (1) Edwin Muir, The Story and the Fable, (Boston: Rowan Tree Press, 1987) 263. Muir says, "I was really born in 1737, and till I was fourteen no time-accidents happened to me. Then in 1751 I set out from Orkney for Glasgow. When I arrived I found that it was not 1751, but 1901, and that a hundred and fifty years had been burned up in my two days' journey." (2) Edwin Muir, An Autobiography (London: The Hogarth Press, 1954) 194. (3) Muir comments further: "The nineteenth century sowed the whirlwind that we are reaping . . . The nineteenth century thought that machinery was a moral force that could make man better. How could the steam engine make man better?" The Story and the Fable, 257. (4) Colin Wilcockson, "David Jones and 'The Break,'" Agenda 15 (Summer/Autumn 1977):126. (6) David Jones, Epoch and Artist, 2nd ed. (London: Faber and Faber, 1959) 113. (7) David Jones, Dai Greatcoat: A Self-Portrait of David Jones in his Letters. Ed. Rene Hague (London: Faber and Faber, 1980) 135. "There are some sums I can't make add up to much sense at all. The world of technocracy--and especially its mounting implications--suggest problems a good deal more difficult, more far reaching than the problems we used to discuss with Eric & Co. under the head of 'industrialism' and 'capitalism' etc. The disintegration of man-the-artist seems more total and apparently irrevocable than anything we envisaged in those days. I am certain that 'man' is 'man-the-artist' more certain than ever, but the implications of this become more and more difficult vis-a-vis the civilizational situation." (David Jones, Inner Necessities: The Letters of David Jones to Desmond Chute. Ed. Thomas Dilworth [Toronto: Anson-Cartwright Editions, 1984] 25). "He believed that a sacramental view of life could transform the brutishness of modern technological existence and that technology itself must be transformed into something more human and `creaturely,' less sterile and mechanistic. For him the reconciliation was urgent because he thought that human life and art hung in the balance. He was convinced that if modern technology could not be related to tradition and integrated symbolically into the arts, they would be doomed." (Carson Daly, "Transubstantiation and Technology in David Jones, Notre Dame English Journal 14 [Winter 1981]: 218). (11) Daly further suggests that, “. . . Mass production, shoddy workmanship, commercialized art, and an emphasis on utilitarian worth as opposed to traditional artistic or religious values, all encourage the public to be unreceptive to the extra-utile and, therefore, to art and sacrament.” (Daly, "Transubstantiation and Technology," 225). (12) Jones, Epoch and Artist, 113. (16) Wilcockson, "David Jones and 'The Break,'" 126. (17) In pre-Imperial Rome, Janus was the numen, or spirit, of the household doorway (F. M. Heichelheim, C. A. Yeo, and A. M. Ward, A History of the Roman People [New Jersey: Prentice Hall, 1984] 41-42). As Rome progressed to an Imperial state this two-headed god was represented by a two horned ram that protected not the individual household but the gateway to Roman civilization (M. Rostovtzeff, Rome [London: Oxford University Press, 1960] 33). It may have been because of this evolution from local deity to state god that Jones chose to use the figure of the Ram, for this shift from local to state significance; the symbol of the Ram itself represents a loss of particularity. (18) In addition to using mercatores as a reference to bankers it may also be that Jones was making a connection with the Flemish cartographer of that name, Gerhardus Mercator, who developed a "cylindrical map projection in 1563 in which meridians are represented by equidistant straight lines at right angles to the equator and any course that follows a constant compass bearing is represented by a straight line" (OED). This sense of the term would fit well with the image of the ". . . grids of / the Ram's survey when he squares the world-circle" which Jones employs later in the poem. (19) For a more complete account of Jones’s views on this, see “Welshness in Wales” and “Wales and the Crown” in Epoch and Artist. (20) Notice again that the imagery connected with the Ram is uniformly squared [“rectangular tenements”] and utilitarian [“the houses of the engines that fabricate the ingenuities”]. (21) It is notable that Jones switches to the use of German in this line: perhaps he intended to make a connection between the Ram of Rome and Nazi totalitarianism. (25) Hopkins, Letters to Bridges, 90. (26) Hopkins, Letters to Dixon, 97. (27) Jerome Bump suggests that: “This lament for man's inability to appreciate and respect nature increasingly dominated 19th century literature as industrialization and urbanization spread.” (Jerome Bump, Gerard Manley Hopkins [Boston: G.K. Hall, 1982] 158.) For a more complete discussion of the impact of the urban setting on Hopkins' poetic sensibilities, see William B. Thesing's article entitled "Gerard Manley Hopkins' Responses to the City: The 'Composition of the Crowd,'” Victorian Studies (Spring 1987): 385-408. (29) Gerard Manley Hopkins, The Journals and Papers of Gerard Manley Hopkins. Ed. Humphrey House (London: Oxford University Press, 1959) 230. See also Hopkins’ poem “Binsey Poplars” for a poetic expression of this same sentiment. (30) Two passages of notably similar attitude can be found in Thomas Hardy, Jude the Obscure, Ch. 2 pt. 1: "He could scarcely bear to see trees cut down or lopped, from a fancy that it hurt them . . .;" and in Henry D. Thoreau, Walden and Civil Disobedience, 87: "Sympathy with the fluttering alder and poplar leaves almost takes my breath away." Quoted in Jerome Bump, Gerard Manley Hopkins, 159. (31) As Carol Christ concludes: "Insensitivity to particularity becomes the measure of man's corruption, of the destruction of his own inscape. Renewed sensitivity to particularity heals this corruption and carries man back to ‘that cheer and charm of earth's past prime.’" (Carol T. Christ, The Finer Optic: The Aesthetic of Particularity in Victorian Poetry [New Haven: Yale University Press, 1975] 100-101). (32) As Norman Mackenzie points out, the reversal of iambic stress in “Generations” helps accentuate the plodding iambs of “have trod, have trod, have trod.” (Norman Mackenzie, A Reader's Guide to Gerard Manley Hopkins [Ithaca: Cornell University Press, 1981] 66). (34) According to Mackenzie, Hopkins' description was appropriate, but for different reasons: “It [Rhyl] was purely a summer resort, to which a tidal flow of English visitors in annually increasing numbers, poured in from May onwards. . . . Hopkins treats Rhyl as a symbol of Victorian ‘progress,’ uniformity, and rootlessness. Like the semi-fashionable suburbs being flung up all over Britain, it had no history and little character or inscape." (Ibid., 73). (36) Mackenzie considers this line "a deliberate allusion to Christ's words on the cross concerning those who were about to destroy his physical life 'they know not what they do' (Luke 23:24)." (Mackenzie, Reader's Guide to Hopkins, 109). 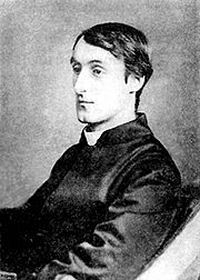 (37) Gerard Manley Hopkins, Selected Prose. Ed. Gerald Roberts (Oxford: Oxford University Press, 1980), 108. (39) Caution must be taken in the theological application of Jones’s work. His ability to draw parallels between Christ and creation must be appreciated more for their paradoxical value than for any typological significance.